Please feel free to call or email with ANY vehicle requests. 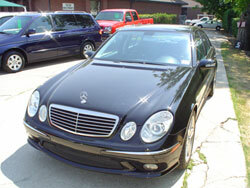 We specialize in locating the car that you want even if we don't have it in our Current Inventory. We're looking forward to hearing from you. *** 2003 E55 Mercedes Benz. Black Ext with Black leather Int. Includes a 5 year 100K mile warranty. E CLASS E55 V8 - Remote power locks includes trunk/hatch and windows, Four-wheel ABS, Air conditioning with climate control; rear control for climate control and rear outlet 4, Glass remote front sunroof, Leather seats, Rear air conditioner, Cruise control, Rear-wheel drive, Front side airbag with occupant sensors; rear side airbag, Day time running lights, Fog lights, Four ventilated disc brakes, External temperature, Stability control, Computer with average speed; average fuel consumption and range for remaining fuel, Driver front airbag intelligent; passenger front airbag with occupant sensors intelligent, Power steering, Intermittent wipers, Rear window defroster, Tachometer, Twelve speaker(s), GPS Navigation System, Side Mirror Blinker Indicator, Fog/Driving Lamps, Xenon Headlights, Rear Defrost, Power Drivers Seat, Driver Memory Seat, Passenger Memory Seat, Heated Front Seats, Steering Wheel Stereo Controls, Power Sunroof, Alloy Wheels, Trip Odometer, Intermittent Wipers, Power Brakes, Power Mirrors, Power Steering, Power Locks, Power Windows, Tilt Steering, Telescopic Wheel, Cruise Control, Bucket Seats, Center Arm Rest Console, Body Side Molding, Tachometer, Reading Lights. *** 1999 Mercedes-Benz 500 SL. Jet Black Ext with Black leather Int. Black top, premium sound, wood trim, alloy wheels. 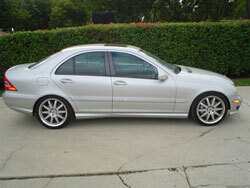 ***2002 Mecedes-Benz C32 AMG Kompressor 4DR Sedan. Supercharged 3.2L V6 PFI SOHC 18V/Rear Wheel Drive. Brilliant Silver ext with Black AMG leather seats. There has been over $14,000 of RENNTECH upgrades added to this vehicle including the Performance Package 1, Brakes, Wheels, and additional engine work. Rear sunshade, Aluminum Trim, AMG leather steering wheel and shift knob, Smartkey, 10-speaker Bose Premium sound system, Automatic headlights with twlight sensor, Auto dimming rear and side mirrors. 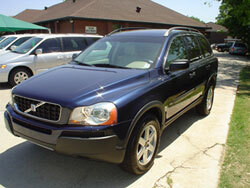 ***2003 Volvo XC 90 Y-6. Dark Blue Pearl with Oak Leather Interior. Under warranty until 3/31/07. Heated seats, Head lamp, Rain sensor, GDL Headlights, 3rd row seats, Power windows, doors, seats, Moonroof, Tinted windows, Preimium stereo. 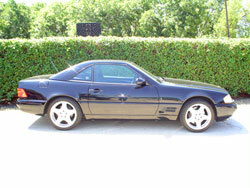 Please call Dave at 214-202-4709 to see this car in person. 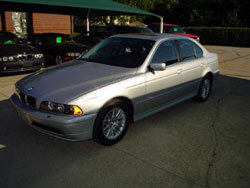 ***2003 BMW 5 SERIES 530I 4D SEDAN AUTO. This well maintained fully loaded 530 comes with dynamic stability control, 5 series mats, in dash CD player, cold weather package, steptronic paddles, white turn signal lights, premium package, moonroof, and very cold A/C. 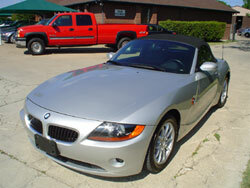 ***2003 BMW Z SERIES Z4 ROADSTER 2.5I. Titanium silver metallic with black leather, In dash CD player, Hi-fi sound system, wood trim, green stripe windscreen, steptronic automatic transmission, heated seats, premium package, radio control US, BMW assist. 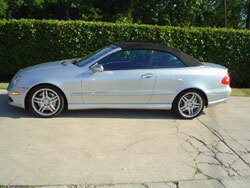 ***2005 MERCEDES-BENZ CLK CLASS 2D ROADSTER CLK55 AMG. This car comes fully loaded. Please give us a call, or come by to see this well maintained car. Produced by LC Web Design © 2004-2005. All rights reserved.